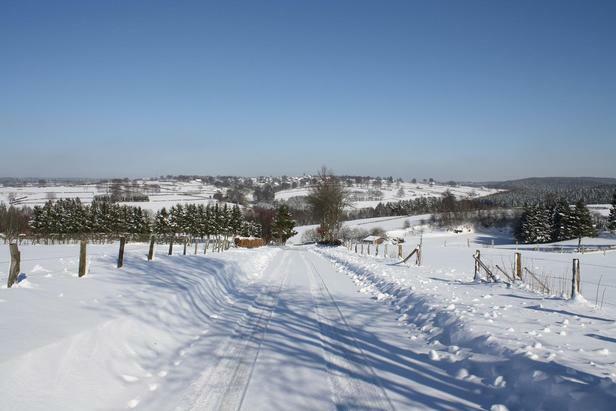 The heavy snowfall wasn't good news for everyone though, trucks got in trouble driving the E25 Route du Soleil through the Belgium Ardennes. Some trucks didn´t make it up hill, and blocked the road, with a major traffic jam with over 500 trucks as a result. Most truckers and also private car drivers had to sleep in their vehicles before the road reopened next day. Belgian resorts including Mont Spinett, Signal de Botrange, Mont Rigi, Baraque Michel, Rocherath Eifel Ski Zentrum and Ovifat Alpine Resort reiceved up to 50cm (20 inches) of snow in the last week. The same resorts claim the deepest snow depth in the country with 40cm (16 inches) of snow. "it's a long time since we´ve seen a snowy winter like this one, people - locals and tourists alike, are enjoying the fresh snow cover in the natural environment," commented Lennert Van Loo, country manager for Skiinfo.be.